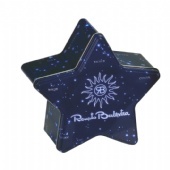 Custom Star Tin Boxes, Our Tin Packaging solutions come in many shapes and sizes including star shaped tins. 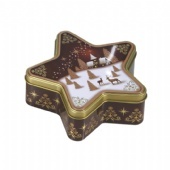 These tin boxes really are unique and will set you apart from the competition. 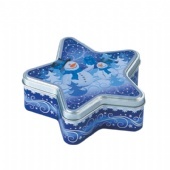 In fact over 5000 different toolings exist, many in a star shape, or you can choose to manufacture custom star shaped tin boxes specific to your needs. 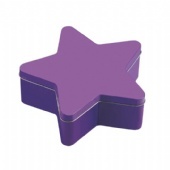 New molds are a one time charge and are very afforable over the life of your tin package requirements. 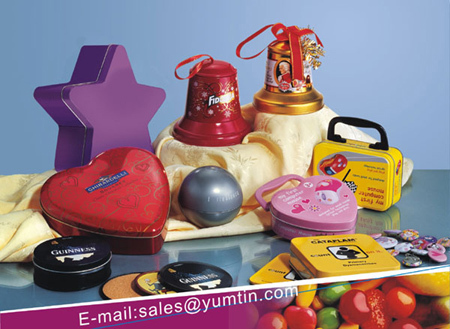 Yum Tin is a Custom tin manufacturer – we will design and print whatever you require but we do not carry any stock or inventory. Everything we do is custom to your specific needs. Our minimum order quantities start as low as 5000 pieces, depending on size. Please note that the entire process takes 8-10 weeks from sign-off on artwork - 4 weeks for production and 4 weeks for sea/land freight. Call us today at 86-13480074629 to get the stars aligned!